We had (3) amazing donation drives in March! Our focus was on the Senior Dogs who need love, too! 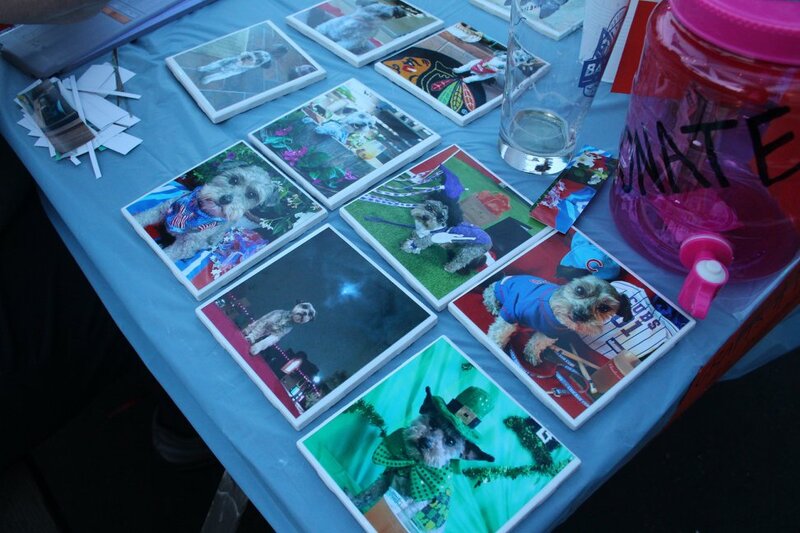 We partnered with Pints & Paws Events, Inc. for a dog-friendly, Crafts and Drafts night at Bay City Brewing Co. to make Signature Pup Packages and custom drink coasters! The item donations we got we were overwhelming!! Our second donation drive was thanks to Kahoots in Poway. The Poway community came together and provided pounds of food & treats, tons of beds & blankets, toys, food and so much more!! Our final donation drive was focused on cleaning supplies, doggy-diapers and Kongs for our silver-haired canine companions thanks to K-9 Aquatics and Wellness Center in Santee. We had TWO TRUCK LOADS of items! The community support this past month has been so humbling! We're well on our way to providing 500 Signature Pup Packages to fosters and rescues AND providing the basic essentials they need most to help increase the rate of adoptions. Help us keep going! Join us for our Annual Wine & Paint Fundraiser Saturday May 12th @ 1:30-4:00pm at 57 Degrees thanks to Nathan Mohle of Wine and Paint Apartments. Seating is limited and we sold out last year! Help our fundraising efforts to accomplish #Mission500 this year. Perfect for a Mother's Day afternoon out, tickets available NOW! December and January were amazing months of growth for Pup Package! 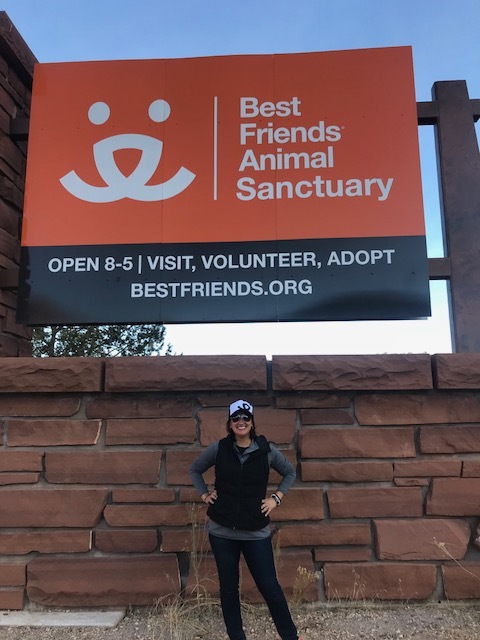 December: We had the opportunity to take Pup Package to the stunning landscapes of Kanab, UT and spend time at the Best Friends Animal Sanctuary. We were able to tour the Sanctuary grounds, meet the staff, admire the animals and enjoy a blissful breeze in Angel's Rest Pet Cemetery. January: We fully unveiled our new "Customize Your Own Pup Package" program! 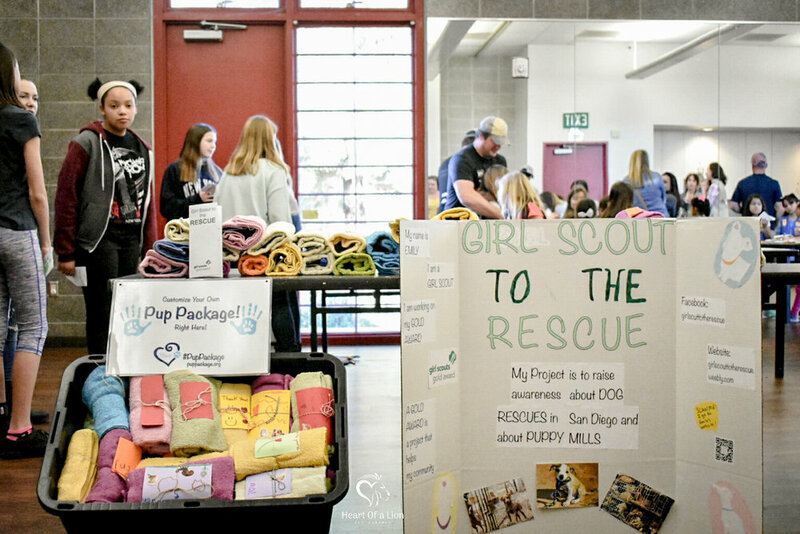 We had the joy of working with local San Diego Girl Scout Troops from all ages to make almost 100 Signature Pup Packages! The event was held in thanks to the help of Emily with Girl Scout to the Rescue in conjunction with a Golden Girl Award! 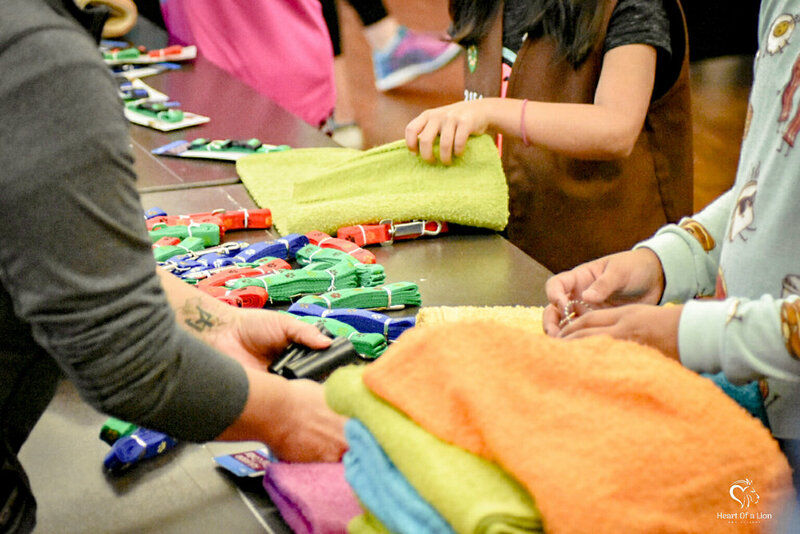 Each package is adorned with a custom, one of a kind thank you card from each of the Girl Scouts! We cannot wait to donate these to rescues as part of our 2018 #Mission500. February is going to be another outstanding month, stay tuned for all the LOVE we will share and impact we will continue make! Just a sneak peak of what's to come........Tickets available HERE! PupTober is one of our favorite months! October was National Pitbull Awareness Month and we had a great time serving Pitbull focused rescues. We were able to donate dozens of Pup Packages, pounds of food and hundreds of treats to more than 5 rescues in CA, AZ, and NV! 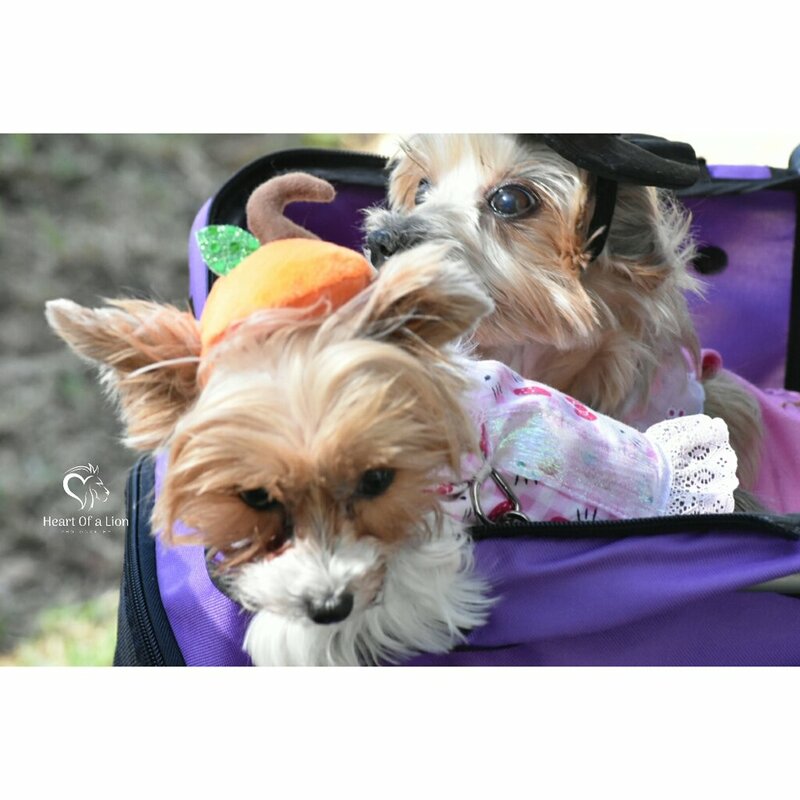 We were invited to several dog/Halloween themed events and met amazing new canine companions! We also pre-debuted our newest program: Customize Your Own Pup Package! 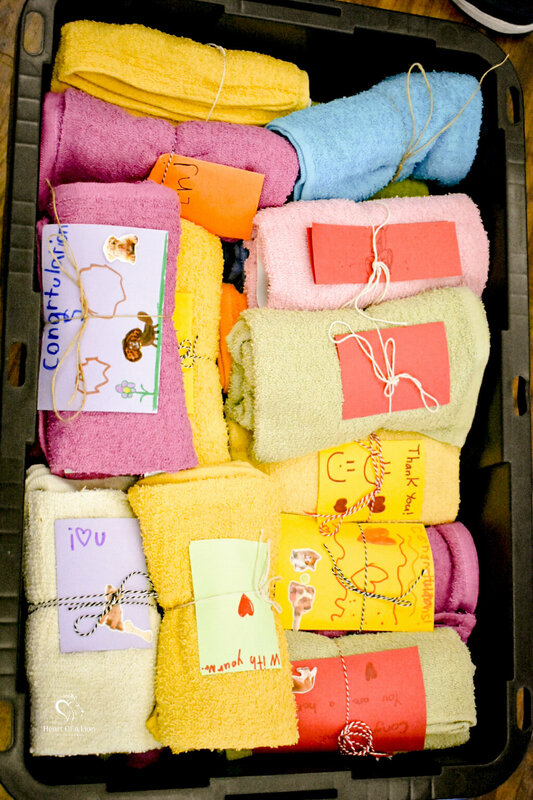 It allows kids of all ages to put together their own pup package and decorate a note that will be given to a dog in a rescue or foster. The intention is to help raise awareness to our younger generations and how one simple act of kindness has a big impact! To bring this program to your school, troop or community send us an EMAIL! FriendsGiving - 11/15/17 Kaite's Healing Kitchen takes over the Eat Your Heart Out food truck at Belching Beaver Brewery in North Park, San Diego to help collect bags of dog food & treats to benefit pups this season! Small Business Saturday - 11/25/17 We are collaborating with Liquid Eden in Normal Heights during the Adams Ave Spirit Stroll. Enjoy beverages, small business shopping for the holidays and helping us continue our Mission! #GivingTuesday2017 - 11/28/17 Our largest online fundraiser. In 2016 we were able to provide 250 Signature Pup Packages thanks to the season kick off with Giving Tuesday. This year we are aiming to hit 500 packages by Nov 2018! If you're local to San Diego, join us Tuesday 11/28/17 at Second Chance Brewery for our event and doggy raffle thanks to Pints & Paws Events, Inc.
We look forward to serving as many pups as we can and keep moving forward to reach multiple states across the US. Wont you help us with our mission? We were also celebrating that our goals for #MissionPAWSible were reached! Thanks to all your support and contributions over the last year TWO HUNDRED AND FIFTY dogs received our Signature Pup Packages at more than 25 rescues in 3 states! Our goal for year 2 is to double that! Stay tuned as we prepare our next mission! We hope you'll join along! October will be just as exciting. Join us as we honor Pitbull Awareness Month and focus on Pitbull Rescues throughout the US! To nominate a pitbull rescue or request our Signature Pup Packages, contact us HERE. Lastly, come STRUT YOUR MUTT with us October 28th 2017 alongside Best Friends Animal Society. Round up your pack and go for a walk, no matter how long or short! Join the Pup Package Team TODAY to receive your event shirt, support it on your walk Sat. Oct 28th and tag us on social media #PupPackage. See you then! We've had so fun much this summer! 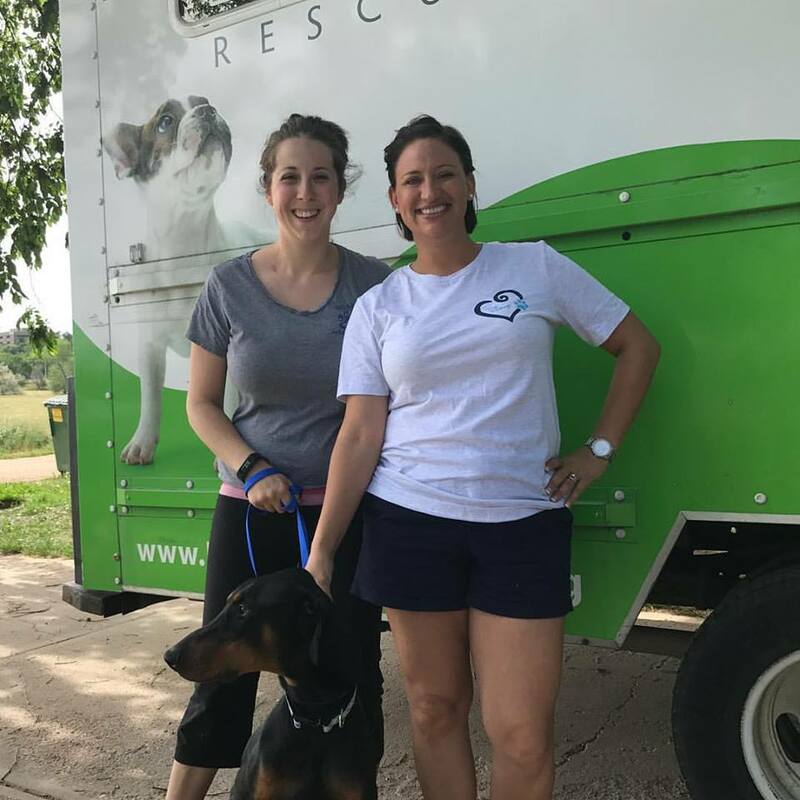 Getting to work with new rescues, taking our Signature Pup Packages on the road, celebrating birthdays in style and obtaining PAW-mazing new partners to join the mission! Pup Package was able to spend time at Comic-Con International 2017 in San Diego, visit Best Friends Animal Society in NYC, venture through The Four Corners of the US, and spend time with Life is Better Rescue in beautiful Denver, CO!! During the July "Birthday Wish" campaign our CEO decided to forgo all gifts and simply asked for a donation toward Pup Package to help with our mission of impacting 250 pups this year. We had an outstanding response, thank you to everyone who contributed! Extra special thanks to Camp Run-A-Mutt Mission Hills and The Comfortable K9! 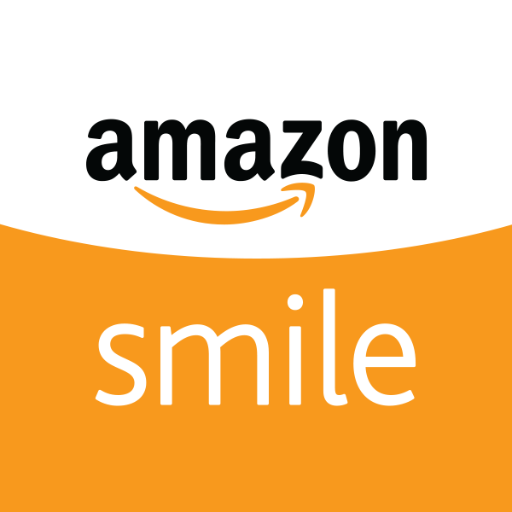 We are very exited to announce we have partnered with Amazon Smile and Best Friends Animal Society this year!! We are well on our way to completing our #MissionPAWSible of 250 signature Pup Package in our first year. We are overwhelmed by the support of the community. Thank you for making this adventure pawsible. Stay tuned to help celebrate our 1st Barkday in September! June has been an exciting month of travel and pup adventures! Pup Package had the pleasure of meeting co-founder to Life is Better Rescue in Lakewood CO! They might be most recently known thanks to New York Times best selling author, W. Bruce Cameron with his newest book "A Dog's Way Home." A heart warming story sharing the journey of how he got his rescue pup, Tucker from this outstanding organization in CO! We also had our junior volunteer visit the Four Corners and represented Pup Package during her journey! We are working to connect with many states across the US to help rescues and fosters know we are here to help!! 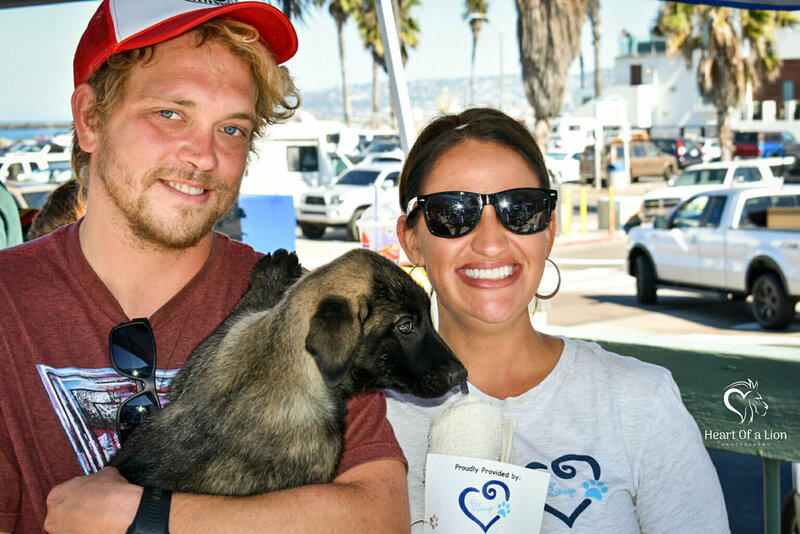 We continue to live our Mission of PAWSitvley impacting as many pups as we can, one organization at a time! To join our mission, consider creating a Pup Package chapter in your area or share a local rescue with us that would benefit from our Signature Pup Packages and help them increase quality of life for those canines waiting to find their furever home! In the month of March we had two amazing fundraisers thanks to GO AZ Motorcycles in Scottsdale, AZ and Phone Cases to the Rescue. Collectively we were able to raise enough in donations to provide essentials for 50+ of our signature Pup Packages! 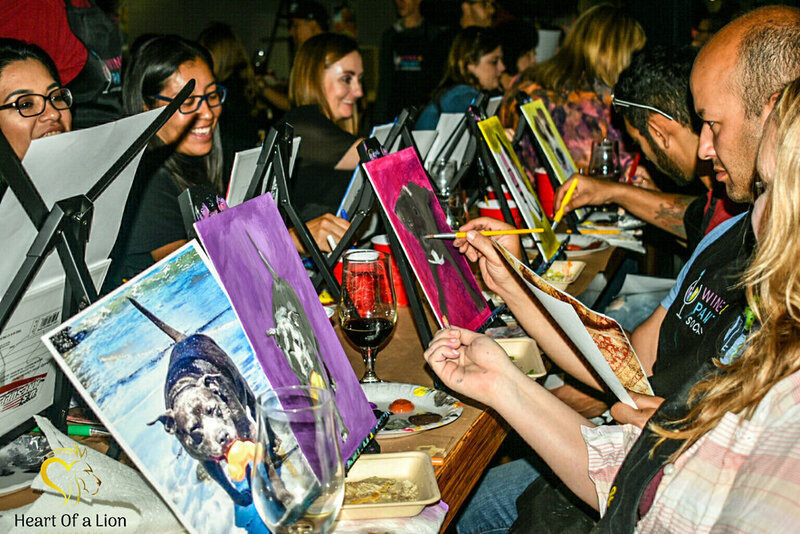 Coming in May we will have our first Brew & Paint fundraiser thanks to Wine & Paint Apartments and Mike Hess Brewing in North Park, San Diego, CA. 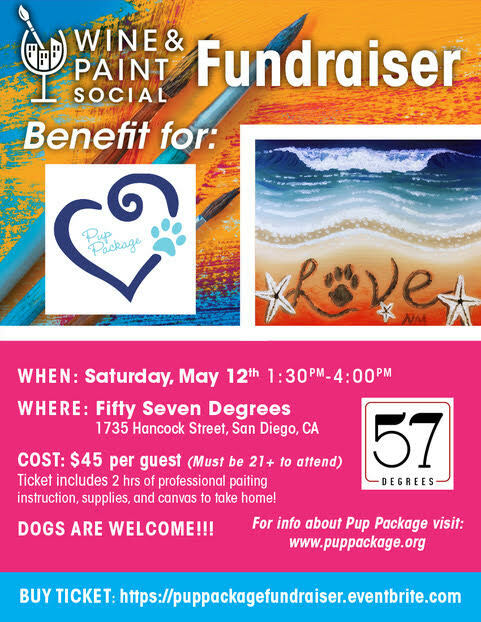 We'd love for you to come enjoy an afternoon of painting a photo of your pup! Furbabies are welcome so bring everyone you know with two or FOUR legs to support our efforts! You can purchase tickets and find out more information HERE. Food will be provided by Eat Your Heart Out food truck, so come hungry! 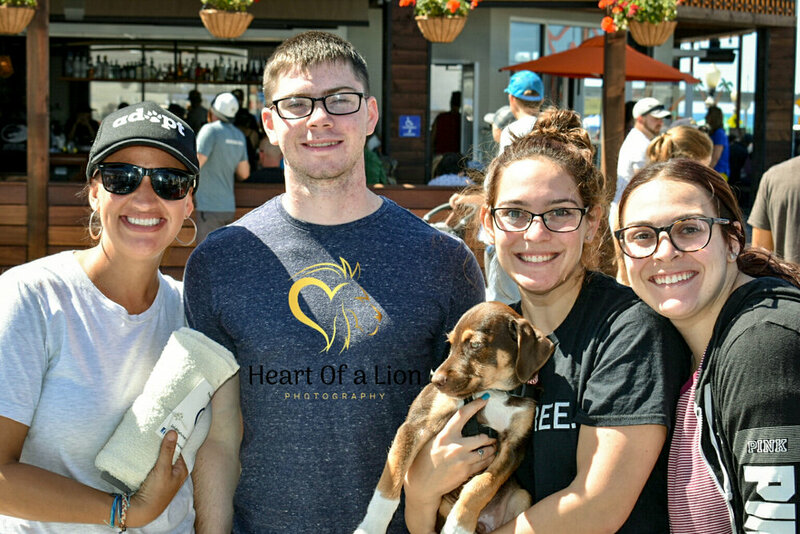 We volunteered along side many San Diego rescues at the Cupids & Canines event! 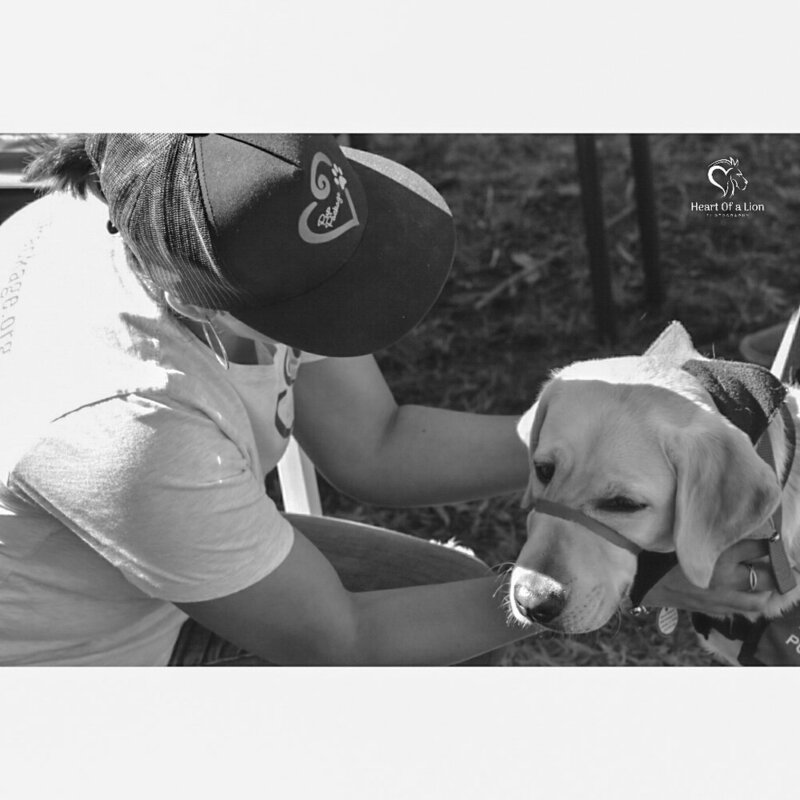 We have been so honored to work with and serve all of these local dog-loving groups! We cannot wait to see what's up next! 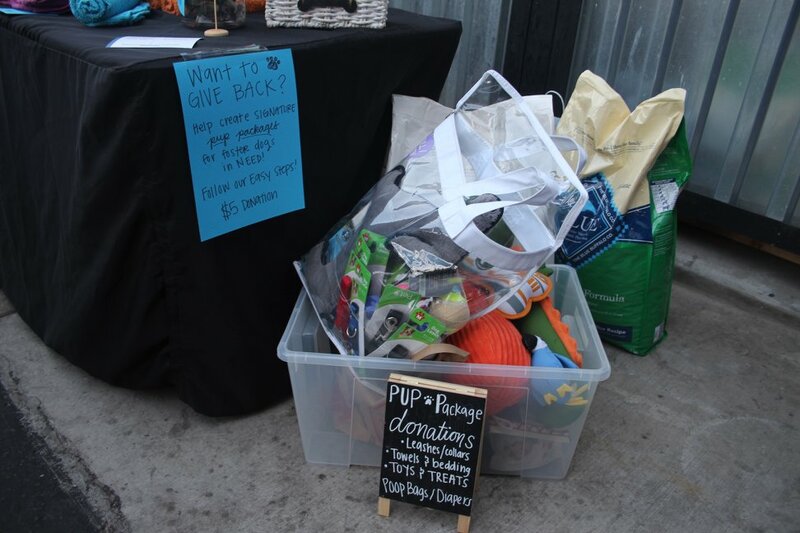 In October, Pup Package had the honor of donating to Second Chance Dog Rescue of San Diego. 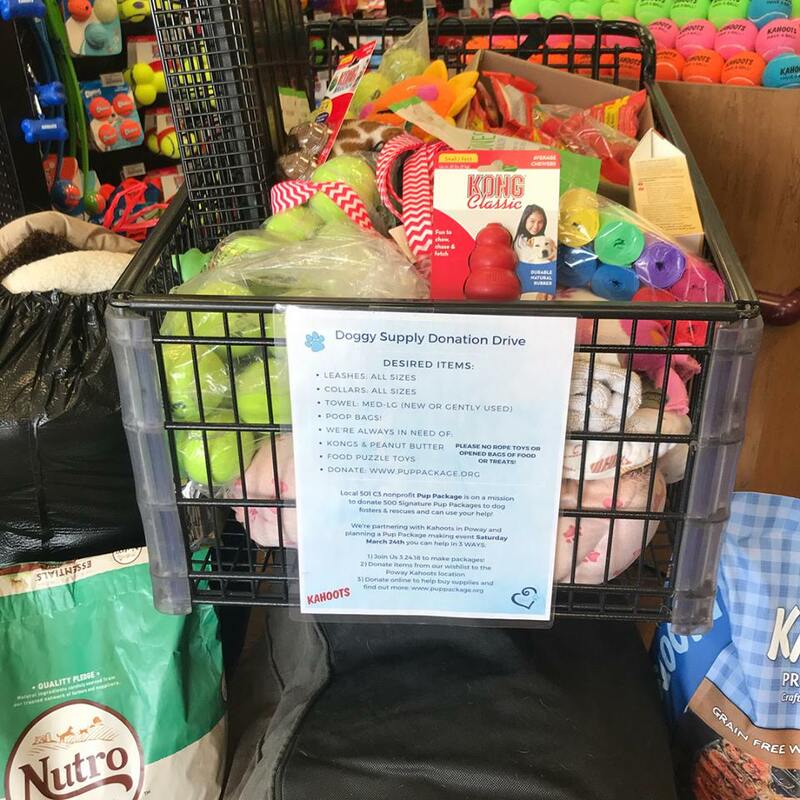 This organization and all of their lovable fur babies received items such as; dog kennel, dog food, lots of new dog toys, towels, waste bags and more. All thanks to the help and community support of Normal Heights, San Diego neighborhood! Click HERE To find out more about this organization or #FURdoption! In September, Pup Package was able to donate the first ever delivery to Pitbulls & Friends Dog Rescue in San Diego, CA. We donated bags full of blankets, towels, comforters and sheets that will be given to those who foster on behalf of this amazing organization!! Click HERE To find out more about this organization or #FURdpotion!